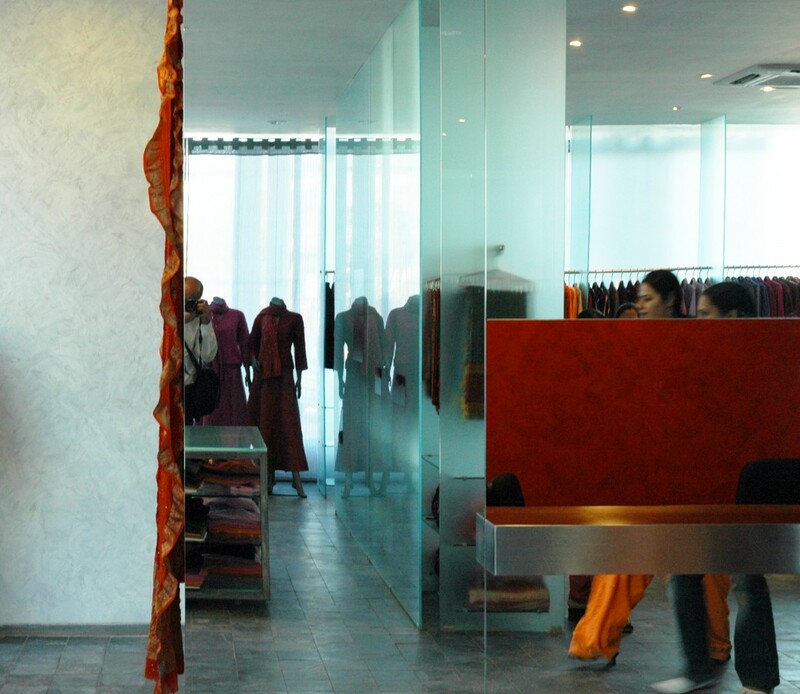 Bandhej deals with a variety of products from house accessories, textiles, men’s fashion wear to traditional saris and jewellery – many forms of merchandise often not visually compatible with each other. The project has involved designing a series of outlets for this lifestyle store. The design challenge therefore was to create an interesting spatial experience, while making the display of the diverse products as visually separate as possible. Each of the Bandhej stores vary in size and required sometime contrastingly different architectural responses. However, by standardizing some of the material such as the use of a slate floor and textured paint finishes, the shops visually connect to each other without limiting their design to a ‘branded’ or overly standardized image.